Receiving aid with daily tasks can make a significant improvement in the quality of life for seniors. For those who served the country bravely, the Veterans Administration Aid and Attendance Pension program is available to help make this level of improvement a little more attainable. Eligible vets and their surviving spouses can qualify should they need aid in various activities for daily living (also known as ADLs). These tasks could include rudimentary functions like dressing, bathing, eating, transportation for errands and appointments, and medication management, although it should be noted that eligible applicants don’t need to require aid with everything in order to qualify. A&A recipients can also utilize these funds to help pay for costs associated with home care, skilled nursing home care, or assisted living. A diagnosis of Alzheimer’s disease or another type of progressive dementia can feel overwhelming, but it can also help you or a loved one get the right kind of care. The field of Alzheimer’s care has evolved dramatically over the past generation or so, and new innovations in care, such as dinnerware designed to get dementia patients to eat more, are coming online all the time. In order for Alzheimer’s patients to eat well, maintain social ties, and stay safe, they need specialized care, especially as the disease progresses. 1 in 9 US adults over the age of 64 has Alzheimer’s disease, and the number rises to 1 in 3 for Americans age 85 and older. As of 2015, there are 5.3 million people living with Alzheimer’s in the US, including 200,000 adults under age 65. The Alzheimer’s Association estimates that fully half of Americans with Alzheimer’s have not been properly diagnosed. Alzheimer’s disease disproportionately affects women, African-American, and Hispanic seniors. Caring for a veteran with Alzheimer’s or another type of dementia is different from caring for people without cognitive impairment. Many dementia patients struggle with their inability to communicate feelings of confusion, fatigue, or physical pain, and that frustration can lead to what looks like combative behavior. Doctors, nurses and aides with special training can help sort out the underlying causes for this type of behavior. Alzheimer’s patients need an environment that protects them from falls and from wandering into unsafe areas such as a parking lot or a roadway. Guardrails in halls and bathrooms can help mobile patients walk safely, while door alarms secured with codes can prevent dementia patients from leaving the building without supervision. The use of restraints to secure patients who are at risk for wandering is not recommended by the Alzheimer’s Association. Patients with dementia are at increased risk for dehydration and poor nutrition, and caregivers must be trained to monitor food and fluid intake, offer feeding and drinking help when needed, and remind patients to eat and drink throughout the day. Some dementia patients forget to eat at regular intervals, while others struggle to make sense of the dining process or to feed themselves. Social connections are important to people with dementia, even if their ability to recognize those ties and interact with others seems to come and go. A quality Alzheimer’s care facility will provide daily opportunities for patients to interact through arts and crafts, music, storytelling, and meal times. What services are provided in Alzheimer’s care? Memory care programs are often housed within a special unit at a skilled nursing facility to prevent patients from wandering unsupervised. Daily routines should include meals and hydration, help with bathing and dressing, medication management, wellbeing checks, and any physical or speech therapy that the doctor has prescribed. Daily exercise programs are usually available and adapted to a variety of abilities. The staff should work to keep the environment calm and familiar so that patients are more comfortable, and social time may include music from years gone by, visits from therapy animals like dogs and rabbits, outside time on nice days in a courtyard or other safe space, and other activities designed to spark memories and provide positive experiences. Because veterans with Alzheimer’s need specially trained caregivers, secure living arrangements, and constant supervision for safety, their care is very costly. The Alzheimer’s Association, which advocates for patients and caregivers, says that average per-person Medicare spending for patients with Alzheimer’s is triple the amount spent on seniors who don’t have the disease. And Medicare doesn’t cover the long-term skilled nursing costs that many seniors with Alzheimer’s need. Headlines about the high cost of long-term dementia care can be upsetting, but it’s important to remember that the cost of skilled, specialized Alzheimer’s care varies by location. The 2016 Genworth Cost of Care Survey found the national median cost for a private room in a skilled nursing facility is $92,378, a figure that would give most of us pause. But there’s wide variation in cost depending on which state you live in. In Texas, for example, the yearly cost for a private room drops to $71,175. In Kansas, it’s $67,525. At the other end of the cost spectrum, that private skilled nursing home room has a median yearly cost of $141,310 in Hawaii; $160,600 in Connecticut; and an astonishing $297,840 per year in Alaska. There are steps you can take to reduce the amount you and your family must pay out of pocket for Alzheimer’s care. Long-term care insurance policies will pay out for skilled nursing care, but not all seniors have invested in such a policy. If you don’t have one, experts recommend buying one before you reach age 65. Choosing a semi-private room rather than a private room can save you and your family thousands or even tens of thousands of dollars on care, depending on where you live. In California, for example, a semi-private room in a skilled-nursing facility costs about $14,000 less per year than a private room. Illinois residents can save an average of $10,000 annually by choosing a semi-private room. In Arizona, a semi-private room averages $15,000 less than a private room. In states with very high costs of care, it might make financial sense to move—especially if your loved one is in good physical health apart from the dementia diagnosis. For example, a person in Delaware who needs Alzheimer’s care can expect to pay more than $109,000 a year for a semi-private room. Relocating to a facility near relatives or friends in a less expensive state could save money not only on nursing care, but on visiting family members’ airfare and time away from work for visits. For many families, Medicaid becomes the primary source of funding for Alzheimer’s care. The eligibility requirements vary by state, but in most states, the spouse of the person who needs care can remain in their home and keep a vehicle. 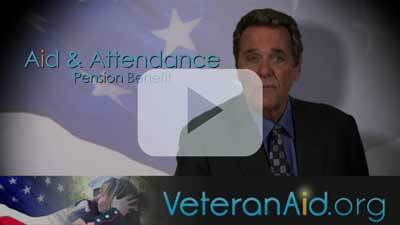 Another option to help pay for care is the veteran’s Aid and Attendance benefit. The Veterans Administration Aid & Attendance (A&A) Pension benefit helps eligible veterans and their surviving spouses cover the cost of needed care. To qualify, veterans must meet VA pension requirements and have a documented need for help with activities of daily living. Such activities include bathing and getting dressed, remembering to take medications on time, cooking and eating healthy meals, and running errands and attending medical appointments. It’s not necessary to need help with all these activities to qualify for A&A, just with one or some of them. The A&A benefit provides up to $1,794 per month to a veteran, $1,153 per month to a surviving spouse, and $2,127 per month to a couple. A veteran filing for A&A with a spouse who needs care may receive up to $1,410 per month. Veterans and their surviving spouses who are approved for A&A can use their benefits to hire in-home care providers, including family members who are working as caregivers. In the case of family caregivers, as well as other caregivers hired directly rather than through an agency, the veteran or spouse must provide a regular paycheck, and all payments must be reported for income tax purposes. The A&A application process can take several months to complete, and benefit funds will not be available during the processing period. (Applicants over the age of 90 can include a request for expedited approval with their application.) However, people whose A&A application is approved will receive retroactive benefits dating back to the original application date. These are paid out as a lump sum, followed by regular monthly benefit payments. You can find details on the A&A program and application process on VeteranAid.org.